Availability: Currently Available. From July 24th - August 19th (26 day time limit). 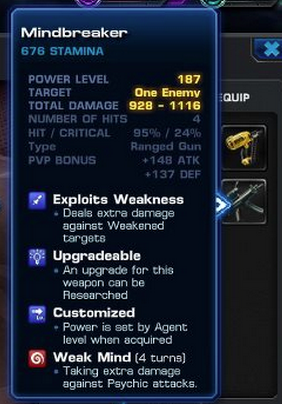 Below you will find the list of tasks, mission information, as well as tips on getting Emma Frost! COMPLETE ALL 25 TASKS IN ORDER TO UNLOCK EMMA FROST. Characters Needed: To complete this mission in Spec Ops #2, you will need to unlock the following characters involved in Spec Ops #2: Mission 1, Phoenix is a compulsory character. For Mission 3's EPIC Mystique, you will need Colossus, Phoenix, and Scarlet Witch. Note: 26.07.2012. Do not equip the Rook or the Bishop onto your Agent's Equipment, Combat Validation Error due to Playdom's game crash system. Thank you. The Hellfire Club is back, and the White Queen is leading them. So why is Emma Frost asking for help? Available: From July 24th - August 20th (26 day time limit). You start off with 440 Blue Unstable ISO-8. Mission 1 Shakedown: 1 to 6. Mission 2 Sentinel: 7 to 16. Mission 3 Subjected: 17 to 25. Unstable Containment: Get 10 Unstable Isotope-8. Requires 10 gold to skip Note - You can complete this requirement by just accepting 10 x unstable blue ISO-8 sent to you from allies. Check your inbox and click. Uncanny X-Men: Take 2 X-Men into battle. Wolverine, Cyclops, Colossus, Kitty Pryde, Nightcrawler, Phoenix, Storm and Emma Frost are all members. Requires 10 gold to skip ☆ Reward: Mindbreaker (Research) Weapon see here - http://i.imgur.com/OviIN.png and http://i46.tinypic.com/j6iwlu.jpg. Note - You need only use 2 out of the above 7 characters will complete this task. Can be applied and completed outside Spec Ops environment, in PvE Story missions or in PvP. Rook, Knight, Bishop: Complete 3 Deploys. Requires 10 gold to skip. Note - Deployments can be applied and completed outside Spec Ops environment, in PvE Story missions. More Human Than Human: Defeat Omega Sentinel. She is the Boss of Mission 2. Requires 10 gold to skip Rewards: Mission 3 Unlocked! Brain Freeze: Use Emma Frost's Psychic Tap ability three times. 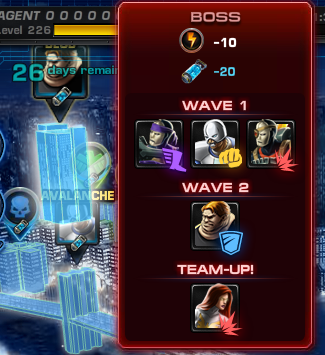 Emma Frost is a Team-Up in several boss fights. Requires 10 gold to skip Rewards: 3000 Silver. Headmistress Frost: Use Emma Frost's Unlock Potential ability three times. Requires 10 gold to skip ☆ Reward: The Rook 4000Silver. Unstoppable Force: Defeat Juggernaut. He is the Boss of Mission 3. Requires 10 gold to skip Reward: 1 Command Point. Intrusive Thoughts: Use Emma Frost's Mental Trauma ability three times. Emma Frost is a Team-Up in several boss fights. Requires 10 gold to skip Rewards: 5000 Silver. Checkmate: Defeat Mystique. She is an Epic Boss in Mission 3. Requires 50 gold to skip ☆ Reward: Emma Frost! and 1 Command Point. 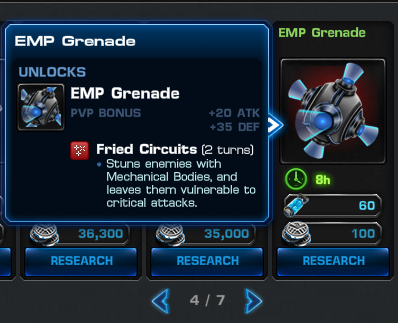 EMP-ulsive Actions: Use 5 EMP Grenades in combat. Note: If you use GOLD to complete a research task, it only completes the task listed as part of the 25 to do lists. BUT IT DOES NOT SPED UP YOUR RESEARCH 100%. That is another set of GOLD price. You had been warned. 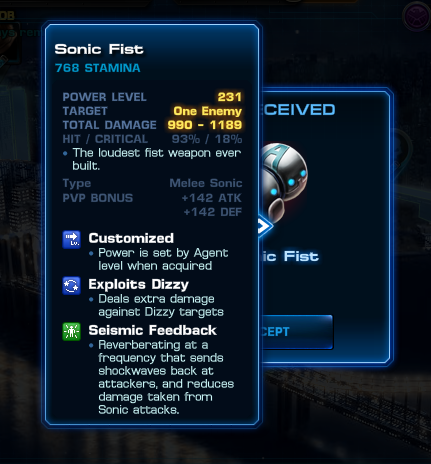 Boss Weapon - Sonic Fist. re-play the Avalanche mini-boss stage at least in 1 to 3 battles/runs. A smart method around this is to use the consumable, Chrono Accelerator which grants Burst of Speed, taking 2 turns instead of just 1. 18. Brain Freeze: Use Emma Frost's Psychic Tap ability three times. 20. Headmistress Frost: Use Emma Frost's Unlock Potential ability three times. Requires 10 gold to skip ☆ Reward: The Rook. 23. Intrusive Thoughts: Use Emma Frost's Mental Trauma ability three times. Character needed for this mission: Colossus, Phoenix and Scarlet Witch. i thought having her via 5 star mastery is yet to be confirmed. have you had her yet then? can I defeat those bosses outside spec ops? They need to give you more Iso or charge less per battle / research holy crap even if all you do is get Iso as your gifts for the day it is gone so fast with 10-20 per deploy or battle (20 for bosses / mini bosses). you'll find that frost only unlocks through the tasks, 5 stars or not. Task 24 is for 3 stars so getting 5 stars is a waste of iso's unless you have some left over after frost is unlocked. They want, that you buy it. But it drops in PVP Battles and normal Story missions. I think they gave us enough iso-8. I only have 3 more tasks to complete and there are over 20 days left, so I don't think we need more than the 50 iso-8/day we get from gifts. Lucky me, I already had phonix and the witch. I only had to recruit colosus. if i beat the epic boss before the task tell me .. does it count after it does ?!! ??? do we need to do the last task or not? Do I need to have all the chartacthers for deploys like scarlet witch,and collossus....to get to the epic boss...? - Complete 5 Stars on a PvE mission gives you 5 command points. Same here. The iso-8's are enough for sure. Getting the necessary heroes for deployment in mission 3 is the challenging part. Complete the netflix offer to get 80 gold if you haven't. Should be enough to convert to CP to get scarlett witch and phoenix. 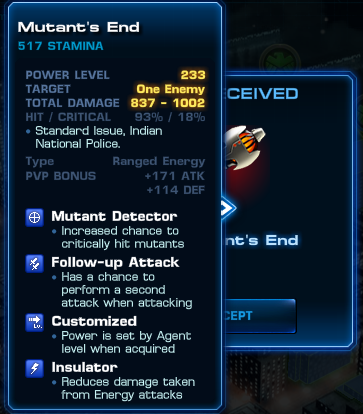 will it work if i defeat mystique in the storyline? she is a miniboss in the story what... will it work? Emma Frost is a pair for some boss fights... but only in SpecOps right? is she a pair for boss fight in PvE scenarios? if yes, which chapter pls? we must finish all deploy to meet mystique???? yes. since mystique is the epic boss in spec ops 2 chapter 3 (final chapter subjected), you need to have 3 characters in your team including colossus, scarlet witch, and phoenix to do the deploy in order to unlock mystique. hi! i need help! im on the 23 task and i need to get phoenix and scarlet witch, any ideas? :( i only have 22 gold and 1cp, i was thinking to get 25 gold and change it for 50 cp to buy phoenix... i really want emma *sigh* she is perfect! play chapter-1.1. only 3 battle. i got 10 cp yesterday from chap-3.5. 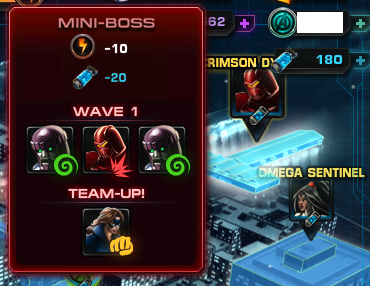 if you play miniboss and boss together then you have to play only 7 battle and has great chance to win cp. Can you skip buy paying the 50 gold for task 24 while not having Scarlet Witch or Phoenix on your team and get Emma Frost. if you mean task 25 yes you can use gold and complete it. do i have to finish deploy all 3 missions or just the 3rd mission in order meet mystique? I did some of the tasks in regular missions, not in the spec ops, that is a good way to save ISO. And I have a question, Can I defeat Mystique before getting the three stars in every mission? It still count? Anyone tried defeating Mystique in a regular mission? no there is no way........... you have to deploy all the heroes. do we can get her via mastery all chapters or just master one chapter only? omg, i didn't know that the deploys are needed to reveal Mystique :( i only have Collossus and zero CP , i cannot recruit Scarlet and Phoenix in 9 days!!! Where do i find CP quickly? :/ i 'm very dissapointed ..
Do mission 1-1 repeatedly, its the shortest mission with only 3 battle (including boss) that gives you CP drop chance. I don't find Mystique, how is this,.? can some 1 plz help me (Q. what will happen to ppl who cheat and have been caught how will they pass/do spec ops 21 Danger Room: Complete 3 PVP battles wen they have been banded from and dont hav no gold . sos help !!!!!!!!!!!!! When I defeated her it was with Spider-man and my scrapper suit, and spent a lot of consumables. Hope it work again this time. Hope luck is on my side! A bit of crucial info, the battle with EB Mystique is 3 stages, you only need to defeat her in one of the stages and even if you fail the whole EB battle, you'll still get her. I defeated mystique 1st and 2nd stage and then my team got defeated before 3rd stage starts, and the quest still register as completed!!! Good luck for those still trying to get Emma! i never get command points from visiting friends. what am i doing wrong? 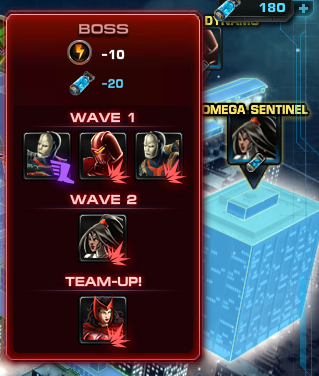 If I don't have Phoenix, Can I defeat Mystique in task 25? and how to earn gold for free? Mystique appears when you complete the deploys, Phoenix is one of the deploys. The other way is with gold. do i need to finish the all deploy missions on mission 3 to be able to fight emma frost? Does anyone know how to work the bishop weapon?? Each time i have it as my weapon it says "noy used" whats missing?? wht is this netflix offer ??? does anybody have a link for it ??? Can't be manually used. It counters every single target attack that you receive. That's why the knight gives you team oritection, to steal attacks. All lies unless some can explain why Rogue is appearing for deployment on mission 3. You site is misleading and crap. I have the 3 heroes everyone ranting about and it will not spawn mystique.